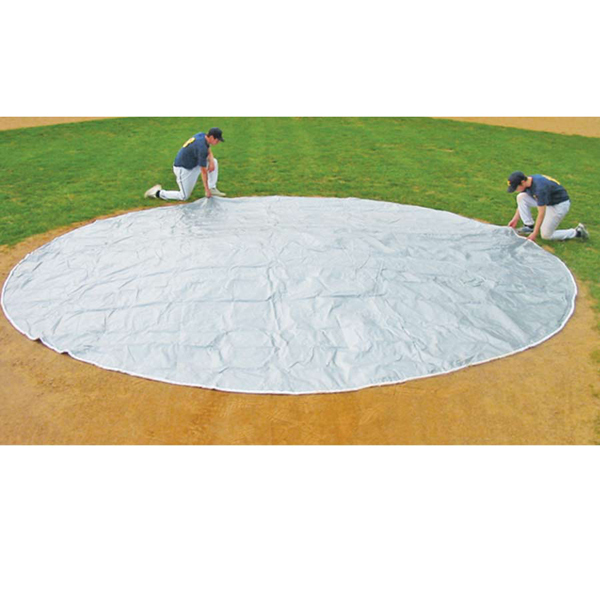 Eliminate rain-outs and costly maintenance with this 26′ or 30′ diameter poly home plate cover made from the same material as the professional field tarps. Eliminate rain-outs and costly maintenance with this 26′ or 30′ diameter poly home plate cover. This 6.0 oz. tarp is made from the same material as the professional full field tarps. Please note, this is a single tarp, kit is shown.